Steve Zebiak is Head, Climate Services Partnership, and Special Research Scientist at the IRI. The Climate Services Partnership is an informal international platform to advance knowledge, tools, and capacities in the delivery of science-based climate services to inform practical decision and policy making. Previously, Zebiak was director-general of the IRI, leading an inter-disciplinary team of more than 40 scientists specializing in climate prediction, agriculture, health, water, economics and development policy. 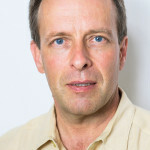 Zebiak has worked in the area of ocean-atmosphere interaction and climate variability since completing his PhD at the Massachusetts Institute of Technology in 1984. He and Mark Cane authored the first dynamical model used to predict El Niño successfully. He has published extensively in journals such as Science, Nature, and the International Journal of Climatology, and has served as an advisor to a range of US and international climate science research programs. He is a Fellow of the American Meteorological Society. Climate dynamics, prediction, climate risk management, climate services.